Summary: On February 22, 2019, the release date of Gyakuten Saiban 123 (Phoenix Wright: Ace Attoney Trilogy), Nintendo Dream WEB posted an interview with series director/writer/planner Takumi Shū and character designer Iwamoto Tatsurō, two of the people who worked on all three games included in Gyakuten Saiban 123. The two look back at what they did on the release day of the original game, on certain characters and how they were designed for those games, but also how the franchise as a whole has grown throughout these years, from the Special Court skits to the anime and to other multi-media adaptations. Images are taken from the source. Copyright belongs to their respective owners. Summary: In anticipation of the release of Gyakuten Saiban 123 Naruhodō Selection (Phoenix Wright: Ace Attorney Trilogy) on February 21, 2019 for Switch, PlayStation 4, XBox One and Steam, the official website started posting a series of columns about the development process behind this game. While many of the previous releases in this series were accompanied by developers columns on their respective sites, this is the first time one of the ports has seen such a treatment. In the first column posted on February 6, 2019, director Kodama Shinsuke talks about the challenge of preparing a game that was originally developed for the small screen of a GameBoy Advance to HD. Images are taken from the source column. Copyright belongs to their respective owners. Summary: Director/scenario writer of Dai Gyakuten Saiban ("The Grand Turnabout Trial") Takumi Shū wrote a six-part column in 2015-2016 for the magazine Nintendo Dream titled The Little Adventures of Mr. Takumi. The common theme for all six columns was "first meetings", and Takumi would write about his first encounters with topics that would have impact in his own personal life and his games. In this fourth column, Takumi writes about his memories with videogames and how he first get enthranced with the adventure game genre that would form the basis of the majority of his work. Summary: Takumi Shū, director/scenario writer of Dai Gyakuten Saiban ("The Grand Turnabout Trial") wrote a six-part column in 2015 for the magazine Nintendo Dream titled The Little Adventures of Mr. Takumi. 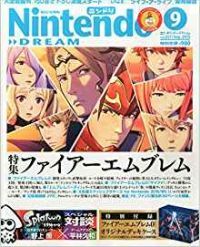 The theme of these columns was "first meetings" and had Takumi write about his first experiences with topics that would have a significant impact on his future life, like his first games or his first meeting with stage magic. In this first column, dating from the September issue, Takumi talks about a certain work of fiction that had a profound influence on his own writing, and surprisingly enough, it's not even a mystery story: Dr. Dolittle. Summary: In this interview published in 15th Anniversary Gyakuten Saiban Series Encyclopedia 2001-2016, director, scenario writer Yamazaki Takeshi and character designer Fuse Takurō discuss Gyakuten Saiban 5 (Ace Attorney 5 - Dual Destinies) and Gyakuten Saiban 6 (Ace Attorney 6 - Spirit of Justice). They first discuss how it was to work as the new team on the mainline series in their different roles as (scenario) director and art director. A great art of the discussion is about creating new characters, and also bringing old characters back for the new stories, and the two also go in-depth in story elements of both games. 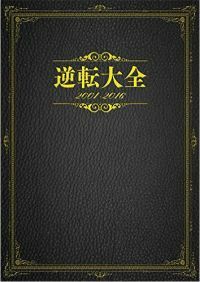 Summary: Gyakuten Saiban Fanbook was originally released in 2005 just before the Japanese release of Gyakuten Saiban Yomigaeru Gyakuten (Ace Attorney DS), and i featured a couple of character profiles for Naruhodō (Phoenix Wright) and Mitsurugi (Miles Edgeworth), with information that was imagined by the fans themselves! 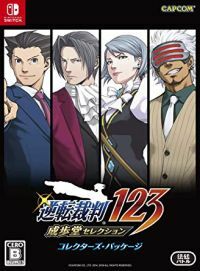 From birthdays, place they live and bloodtype, to hobbies, their favorite foods and what they did on their days off, the fans had thought off all kinds things for the main characters of the Gyakuten Saiban (Ae Attorney) series. 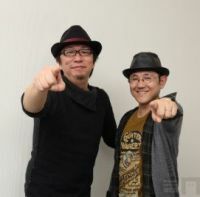 In return, director Takumi, producer Inaba and character designers Suekane and Iwamoto also responded to those 'fan-theories/head-canon' and also talked about their own 'head-canons'. In his reaction to Naruhodō's profile, Takumi added a couple of (unofficial) background ideas to the character, including his background as a Thespian. This translation only includes Takumi's comments, not the profile itself. Summary: On March 30th, 2018, series creator Takumi Shū headed a presentation about the Gyakuten Saiban (Ace Attorney) series at Game Creators Conference’18. In this presentation titled “About the Scenarios of Gyakuten Saiban / Dai Gyakuten Saiban”, Takumi explained how he creates the mystery plots for his Gyakuten Saiban and Dai Gyakuten Saiban ("The Grand Turnabout Trial") series. He explains his methods for coming up with the stories, with the trick needed to pull off the fanciful murders and how he plays with the information flow to keep the player engaged in the story. He also explains about the worldview of the games, and other things he did to make this an entertaining adventure game series for players. Takumi also explains the concept behind Dai Gyakuten Saiban and some of its key points. At the end of the presentation, there was also room for a short Q&A. This is a translation of the report of this presentation posted by Famitsu on April 3rd, 2018. Images are taken from the source column. Copyright belongs to their respective owners. Summary: Famitsu got the chance to ask Takumi Shū five short questions for the release of the 3DS port of Gyakuten Saiban 4 (Ace Attorney 4 - Apollo Justice) in this article published on December 4, 2017. 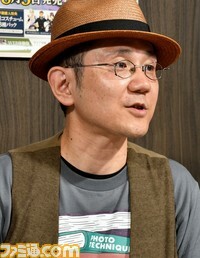 Unlike his direction/script credits for the previous three games, Takumi was credited as original creator and series supervisor for this game. There are actually few post-Gyakuten Saiban 4 interviews with Takumi talking about this specific game, so in a way, these little short Q&A does feature some new insights that Takumi hadn't really voiced before, especially in regards to what his favorite episode of the game is. Summary: In this blog post published on 17 November 2010 on the Gyakuten Kenji 2 ("Turnabout Prosecutor 2") blog, producer Eshiro writes a piece about how he and director Yamazaki often have "fights" about what they want in the game. Their "rivalry" is often joked about in interviews and columns, as while both naturally want to make the best game possible, they both have their own opinions about what is best for the game. In this blog post, Eshiro explains how their differing views on the character of Mikagami eventually merged into the final character design. Summary: The column "Naruhodo Gyakuten Saiban!" ("I See! 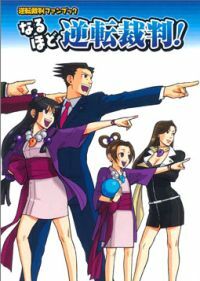 Ace Attorney!") 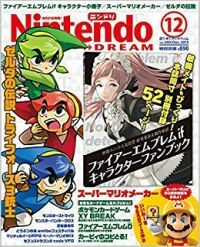 in the monthly game magazine DreaMaga (an abbreviation derived from its old format titled DreamCast Magazine) ran for 19 months starting in the September 2004 issue and was written by Gyakuten Saiban (Ace Attorney) creator Takumi Shuu, as build-up to the release of the DS port of the first game. 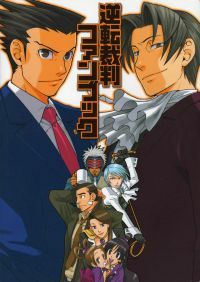 These columns usually consisted of a short essay by Takumi, some dialogues that had been cut out of the games, and a one-page dialogue-based short story starring the characters from Gyakuten Saiban, accompanied by an original illustration by Suekane Kumiko, the original main character designer of the games.. 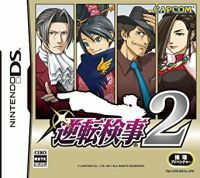 The theme for the sixth column is Gyakuten Saiban 3 (Ace Attorney 3 - Trials & Tribulations), with as highlight the original idea he had for the final episode of this game. Note that this translation only includes the column itself, and none of the other parts (short story/cut dialogues).